Each director is responsible for acting in the best interest of the organization and working to carry out the nonprofit's goals. They have a fiduciary duty, which means that they can only use the finances of the organization to serve the nonprofit's purpose. Directors must act in good faith to avoid personal liability. They don't have to be perfect, but they must act in a way that any reasonable person would under similar circumstances. By contrast, if a director acts recklessly or negligently and harms the organization, he may be personally liable for the damages he causes. The interests of the nonprofit must take precedence over personal interests of individual board members. Nonprofit directors must be careful about taking any action that would benefit them personally or any other board member personally. 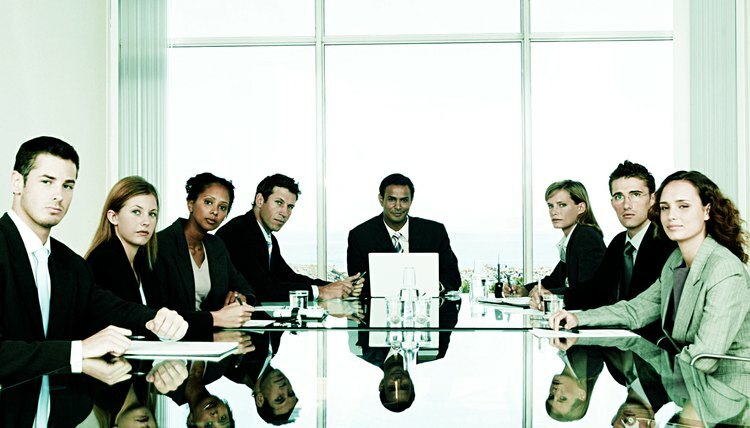 Directors may lose liability protection for actions that constitute a conflict of interest, such as approving a contract between the nonprofit and a board member's personal business. Additionally, while directors generally may be reasonably compensated for their time, some state laws provide that only uncompensated volunteer nonprofit directors have limited liability under the law. State laws may also place limits on what percentage of board members may be compensated -- and prohibit compensating the entire board. Directors may also be liable if they take actions that personally and directly injure someone, even if their actions are taken in the course of acting as a director of the nonprofit organization. For example, if a director assaults an employee of the nonprofit, the assaulted employee would likely have the right to sue the attacker individually, even if the incident occurred during a board of directors' meeting. If a nonprofit organization does not properly follow the required legal formalities in its state, or does not otherwise treat the nonprofit like a separate corporate entity, the court may find the directors personally liable for the debts of the nonprofit. This process is known as "piercing the corporate veil." It can occur if the board does not keep appropriate records or minutes, hold required meetings, or follow the correct voting procedures for board resolutions or actions. Nonprofits, particularly new organizations, may want to seek the advice of an attorney to ensure that they are properly following the requirements of incorporation. One of the biggest advantages of a corporation is that this business structure protects controlling shareholders from personal liability for the debts and liabilities of the business. This protection does not mean that persons involved with the corporation can undertake fraudulent activities and enjoy immunity under corporate liability protection. Officers, directors and controlling shareholders of the corporation owe the other shareholders a fiduciary duty. Under the legal theory of “piercing the veil,” a controlling shareholder can be held personally responsible for fraudulent actions by the corporation initiated by that individual.